Does nature stand a chance in this urbanisation frenzy? In 2012, Hyderabad became the first Indian city to have a City Biodiversity Index (CBI), at least on paper. As an assessment tool, the Index is an invaluable tool for city authorities to monitor and evaluate biodiversity with a view to aid conservation efforts. Launched amid much fanfare to coincide with Hyderabad hosting the UN Convention on Biodiversity in 2012, the Index is now defunct. It has not been updated or used since its launch by Hyderabad’s civic bodies. Similarly, the Biological Diversity Act (2002) has provisions for establishing Biodiversity Management Committees in all local bodies, whether Panchayats or city municipalities. Implementation however is patchy. Notwithstanding such gaps between policy and execution in India, a few individual and citizen initiatives have emerged that are heartening because they provide the much needed learning in the Indian context about urban biodiversity. One such mapping exercise has been conducted in Bangalore by Harini Nagendra, Professor of Sustainability at Azim Premji University, Bangalore, India, and the author of Nature in the City: Bengaluru in the Past, Present and Future. Nagendra has also written about ecosystem services being harnessed by communities residing in slums by planting and maintaining trees and plants with medicinal, nutritional and social value. Some citizen groups have also been involved in mapping and counting tree species in Bangalore, Delhi, Pune and Mumbai. Simultaneously, citizen groups and start-ups have been involved in increasing urban biodiversity and ecosystem services. Urban Leaves in Mumbai specialises in mobilising citizens to grow food in urban landscapes, utilising vacant terraces and balconies, school grounds and other unused patches of land across the city. Shubhendu Sharma’s Afforestt creates “natural, wild, maintenance free, native forests” in city spaces, working with individuals, corporate clients and government agencies. There is also a whole slew of afforestation-related policies with real funds to disperse from the Compensatory Afforestation Fund Act, such as the Green India Mission. In answer to a question about “green areas in cities” during the Question Hour in the Lok Sabha on March 21, 2017, Anil Madhav Dave, Minister for Environment, Forest and Climate Change, stated that his Ministry was also implementing the “‘Nagar Van-Udyan Yojana’ on a pilot basis to create 200 city forests in the country in the next five years”. However, actual realities on the ground show that funds are mostly used to pursue stop-gap measures like tree plantation drives on ‘special’ days or the distribution of free saplings but without any regard to the maintenance of these saplings or strategic planning about how best to design afforestation activities around the socio-economic and environmental factors of specific urban habitats. Dave also freely admitted that there was no specific data collection with regard to the “decline in the green areas in cities”. Lack of land use data makes it easy for real estate developers to encroach on existing urban green spaces and ‘convert’ them for private commercial use, stymieing conservation efforts. There is also a tendency of forest departments and other government agencies to take control of existing urban greens and lakes, instead of working with communities living near them. The other extreme can result in ‘negotiations’ with city officials where elite and middle class citizen associations take up the upkeep and maintenance of lakes and other urban commons to save it from degradation but in the process exclude low-income communities who derive ecosystem services from these spaces. To top it all off, urban planning – where strategies can be formulated after incorporating inputs from different stakeholders and knowledge domains, ranging from scientific data and expertise of ecological experts, community inputs about land use and socio-economic activities, as well as innovative design strategies from researchers, environmental entrepreneurs and companies – continues to be a bureaucratic exercise. We are still to see something on the scale of the EU-funded TURAS (Transitioning towards Urban Resilience and Sustainability) project, through which multiple cities participated, between 2011-16, to explore nature and location-based solutions to renew neighbourhoods and build ‘resilient’ cities. Solutions included the creation of ‘Urban Comfort Zones’ (UCZ), green infrastructure, eco-mimicry and novel design. The good news is that India’s scale and degree of urbanisation is still lower than in many parts of the world. Most of our cities have far more biodiversity and positive ecosystem cycles compared to heavily industrialised and degraded cities across the world. India requires conservation efforts to improve degraded natural geographic features in urban landscapes and protection strategies against degradation and/or shrinkage of existing urban commons where nature thrives. There is a need for every one of us to gather an improved ecological understanding of the spaces we live and work in and also how we, individually and within communities, change or shape how our neighbourhoods, and by extension, our cities function as ecosystems. No action is ensconced in a bubble no matter how high the walls or artificially segregated our lifestyles might be. Rethinking and reshaping our cities to enhance biodiversity and to be resilient is a long process. The ‘components’ all exist – from funding, to research and design capabilities, and most importantly, enthusiasm and motivation among communities inhabiting cities to actively participate in maintaining urban biodiversity. 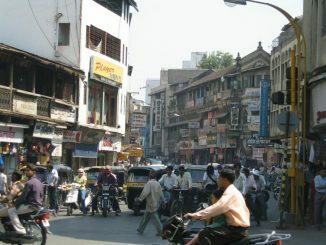 Equally real, however, are challenges like how land is monetised in cities that in turn dictate land use choices, population density in Indian cities, the kind of priorities policy makers have while planning a ‘smart city’ as well as the fragmented, uncoordinated and bureaucratic way that government departments function around afforestation and conservation efforts. There is a lot to be addressed by citizen activists and forums as well – from the real lack of participatory mechanisms that go beyond tokenism or elite capture, to how different people and communities occupy, use and alter spaces in cities without much planning or forethought. But thinking about these challenges and ways to overcome them is a vital first step to creating sustainable and resilient cities. Smita Mitra has worked as an editor and writer for publications like Hindustan Times, Outlook and Himal Southasian. She is currently based in Bangalore. 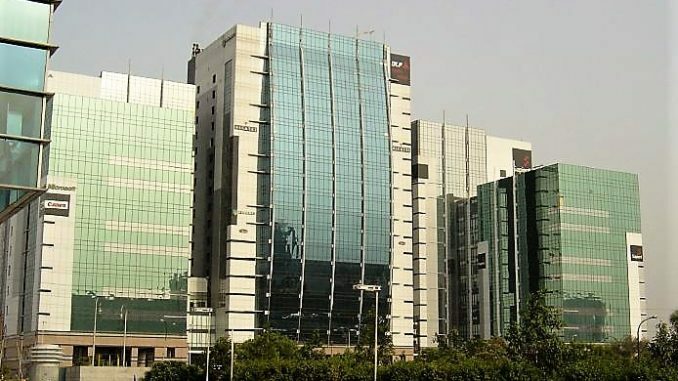 Pune tops the fifth Annual Survey of India’s City-Systems conducted by Janaagraha Centre for Citizenship and Democracy, while Bengaluru is in the last position. A summary of the key findings from the survey. What will it take for our city bus systems to keep fares low and still curtail losses? 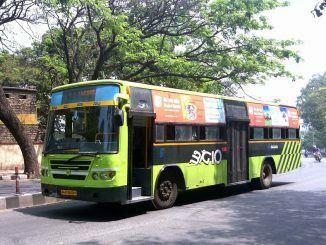 Most public bus units in our cities have run into huge losses. Yet, fare increase would make buses unaffordable for the ones who need them the most. Can the state step in and find a way for them to be accessible as well as economically viable? 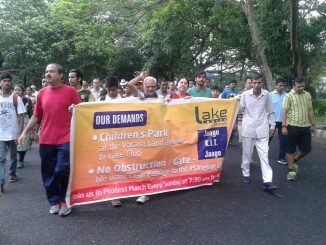 Why these Kolkata morning walkers have reserved their Sunday mornings for protest! The 192-acre Rabindra Sarobar is a beautiful green oasis in the heart of Kolkata and a favourite of many old timers in the southern part of the city. But reckless urbanisation and callous maintenance is taking its toll, leaving many regular visitors deeply distraught.